I try not to spend too much time daydreaming about who my kids will be in the coming years. I mean, as they grow into adults, of course I have a broad vision of the path we are trying to follow, the path less traveled, but my hopes relate more to their hearts...their souls. I long for them to be believers. I want them to be loving, to be servants. I hope they have a heart for the world, I want them to be empathetic, to have an excellent work ethic, to put others first. But as far as the specifics...I don't spend a lot of time dreaming of sports stars or longing for academic over achievers or planning their weddings. I feel that as a parent, it is my job to walk with them and help them discover who it is God made them to be. If I have assorted hopes and dreams of my own, my own ambitions for them, if I transfer my idols to their little lives...won't it certainly hinder my ability to hear God? I don't want my voice to drown out His. Most days I have a pretty good handle on this goal for myself...to live in the day with them, expose them to a number of different avenues and just watch, pray and wait as they continue to grow. But I am sinful and weak and every once in a while, my mind wanders. For most moms, dreaming of little girls means pink and tutus, princesses and tea parties. 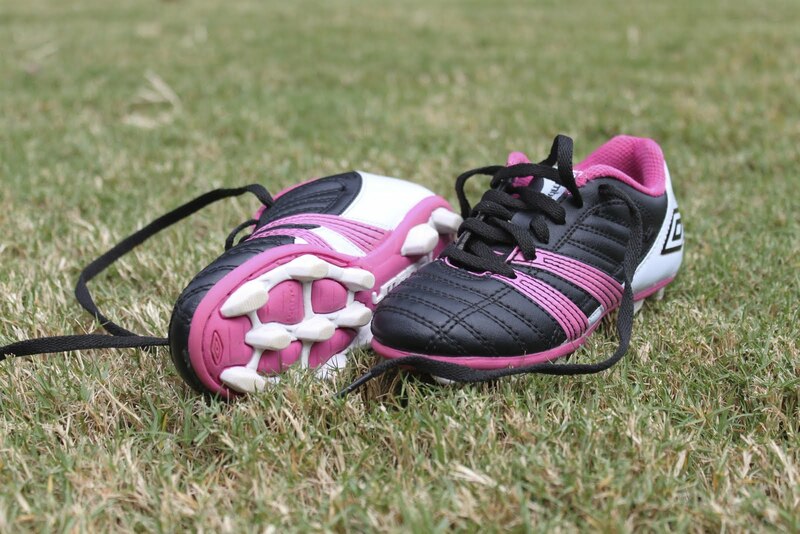 But my weak moment surprised me as I walked into my bathroom and saw a precious pair of itty bitty pink soccer cleats lying on the floor. Like the flutter of a film real, I saw it...the love of a game that has brought so much to my life: dew on the grass before an early morning match, life-long friends, travel, fitness, college memories, the rush of adrenaline after scoring a goal, confidence, the bonds formed by being part of a team...I saw it all. In a brief flash, I longed for that for her...for us to share this sport that has been such a huge part of my life. My heart ached as I looked at those little shoes and knew that soon, those feet would grow. What if the beautiful game, as it is called around the world, could not only be mine...but ours to hold on to...together? "What is his calling?" Perhaps he will be a welcoming pastor in a charismatic church. Perhaps not. What does it matter? He thinks he would like to be a cartoonist. He loves to draw. I don't care if he makes a lot of money, goes to college, finds a career, or sells Fuller brushes door-to-door. I don't want him to be happy, nor do I merely wait for him to find his way. I want him to use all he is for the kingdom of God. And my task is to delight in his passion, promote his desires, let him fail, and sit quietly with him on the porch waiting for God to speak to us both. It was fun to consider for a moment...a precious little one loving what I love. Many times, the control freak in me is exasperated because I am obviously not in charge of this thing I call "my" life. But my weaknesses and failings are being made increasingly evident as I attempt to navigate motherhood, and I think the mom part of me finds great comfort in knowing that ultimately, even my greatest daydreams are no match for God's plan.